This post contains affiliate links. Any sales made through these goes goes to helping this blog grow! Thank you! 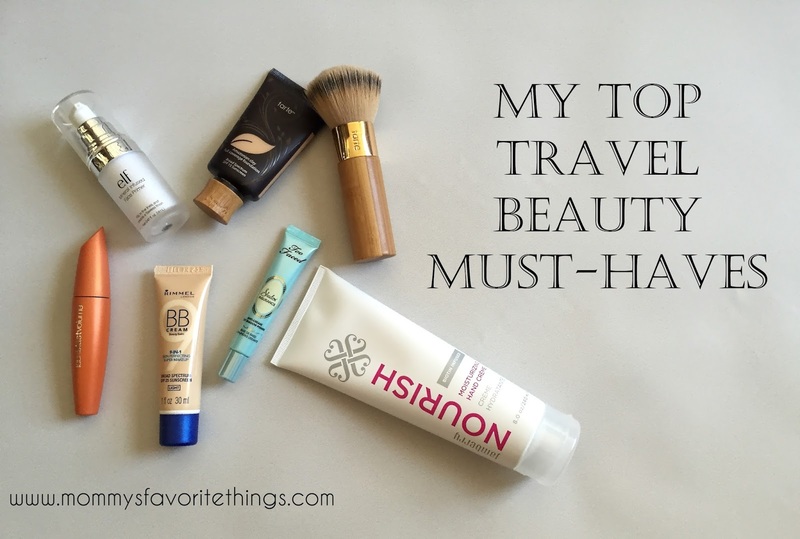 I love wearing makeup, but when I travel I like to tone down the amount of items I take with me. So this is my list of essentials for traveling. Most of them are small and fit in my toiletry bag with ease BUT they are also some of my most favorite products even when I'm home. So that's why I've chosen them for this list! #1: Number one is my NEWEST item, but it has definitely been love. It's the Jamberry Nourish hand cream. It goes on like SILK and has made a world of difference in my hands. I'm a nail biter and cuticle biter and this has helped make my skin look so much better! And it rubs on really smooth! It's been a blessing. Although this bottle is $25, it is HUGE (8oz) and will last for MONTHS at a time! #2: Number two is a cheapy product, but it's been the best one I've found so far. This is the e.l.f. Mineral Infused Face Primer. It is very similar to more expensive primers, but does the exact same thing for a much cheaper price ($7.84 right now! ), and that's why it made my list. #3: Number three is my all time favorite foundation. I have tried MULTIPLE brands, but this one takes the cake. I saw it on QVC for the first time and ordered on a whim. It is the Tarte Amazonian Clay (mine also came with the brush, which I highly recommend). This is a very full coverage foundation that lasts 12 hours. It goes on really smooth and doesn't cake in lines OR feel very heavy. It never needs to be reapplied either. 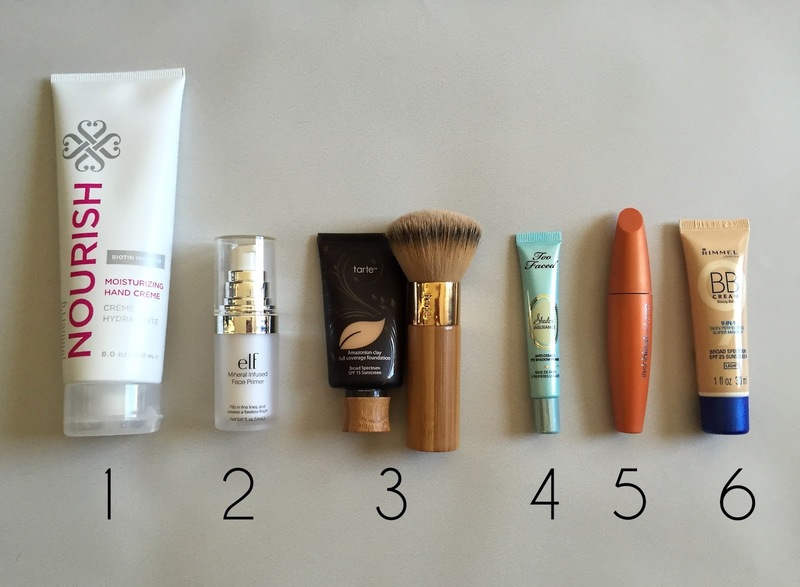 #4: Number four is my eyeshadow primer. I never even thought to use one and stopped wearing eyeshadow because within 30 minutes my eyeshadow was gone and stuck in the crease. I asked my friend about a primer and she recommend this one and I purchased it and I can't believe I went all those years without a primer. Now I'm wearing eyeshadow again and I LOVE this primer. It's the Too Faced Shadow Insurance and it's been amazing. It lasts ALL day and is only $15 on amazon! #5: Number five is my all time favorite mascara, the Covergirl Lashblast. I've been using this one for about 4-5 years now and I've tried others, but always go back to this! It's inexpensive and works the best for me. It has a special brush so it doesn't clump. #6: Number six is a backup item. This is the Rimmel 9-in-1 BB Cream. When I need a bit more coverage instead of the e.l.f. primer, I'll use this. So I take both with me wherever I go in case I need a bit more coverage or if I need light coverage with the e.l.f. Although you could use both together if you wish. And honestly, the BB cream doesn't even need a foundation over it. It's like a primer and foundation in one! I've been loving it. So those are my 6 must haves for traveling!! And here is my face wearing the e.l.f. 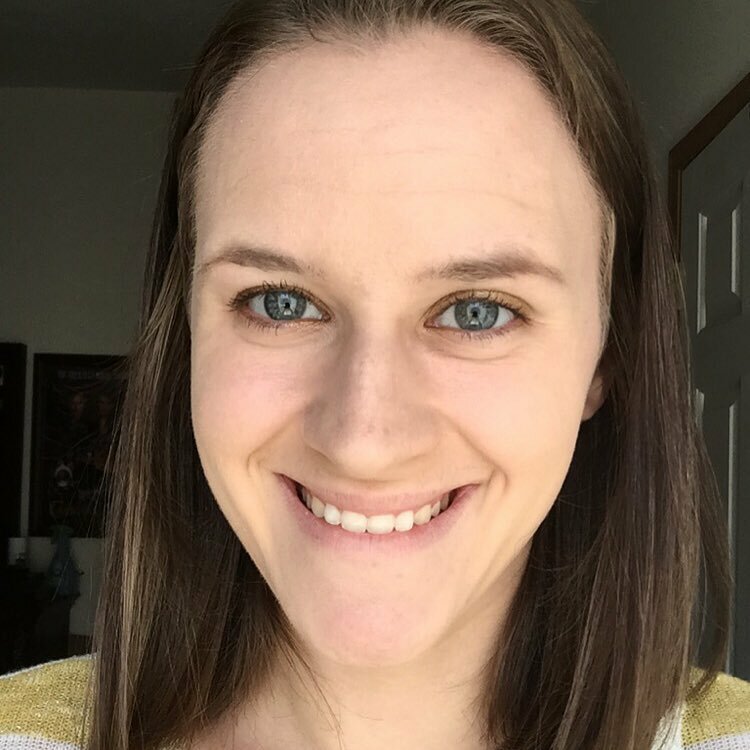 primer, tarte foundation, too faced eye primer and covergirl mascara (unedited)! Now I'm on the hunt for the perfect lipstick or lipgloss shade. I have actually never used any e.l.f. products. I might have to give the Mineral Infused Face Primer a try. Thanks!! This seems like the perfect couple things to have on hand.